Das da way 2 do it monkey. WINDING TRAILS, PEAKS, VIEWS, RIDGES ,ROCKS, SATURDAY MORNING HIKE! Meet other people who are interested in hiking and walking for exercise, and attending various other fun events such as bicycling, kayaking, river rafting, etc. We sometimes have BBQs, sometimes have fundraisers, sometimes have parties and even go on exotic vacations....but mostly it is about hiking and having fun in the outdoors. 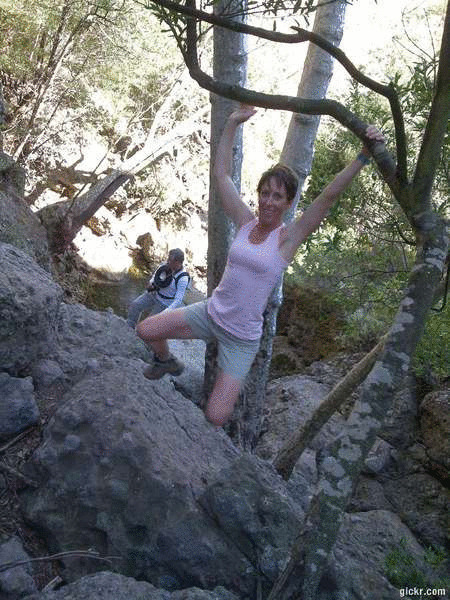 You will find adventure on the various trails in the surrounding greater Los Angeles area which could even include downtown L.A. walks, or restaurants in other areas, with a varied leader mix of levels to choose from either beginners, intermediate and advanced hikers. The hike leaders in this group aren't professional hike leaders. You are responsible for yourself. By signing up for these events, you agree not to hold the Meetup organizers of LA Hiking Group responsible for whatever happens to you on these events. 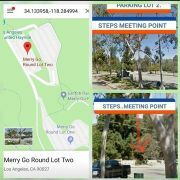 LA Hiking Group does not certify the expertise of the organizers,the event or assistant organizers (hike leaders) and.LA Hiking Group is NOT responsible for any possible losses or injuries. For safety and liability reasons you MUST have a clear PHOTO of yourself on your profile that shows up on the listings.